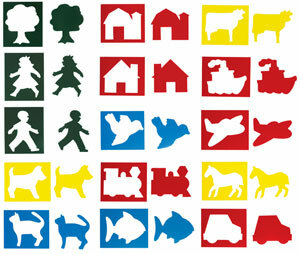 This heavy-duty stencil set introduces kids to the fun of using stencils with simply designed objects and animals - airplane, barn, horse, dog, etc. Durable, easy-to-clean plastic handles the rough treatment young kids can dish out. 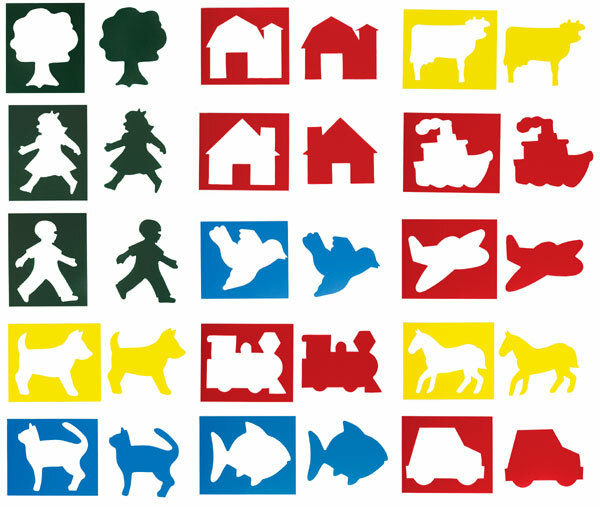 Stencils are 7" × 8".